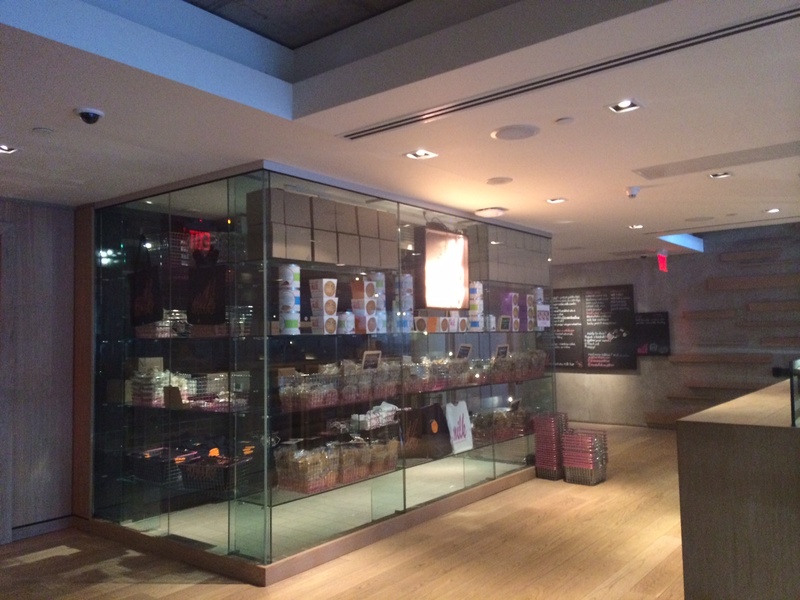 Momofuku Milk Bar is located on the second floor of Momofuku Noodle Bar beside Shangri-La Hotel in downtown Toronto. The Milk Bar is tiny. To give you guys an idea of how small it is, it can be best described as a walk-in fridge. A maximum of 5-6 people can fit in there at one time. You grab a basket outside the Milk Bar, pick your goodies, and go downstairs to pay for them. 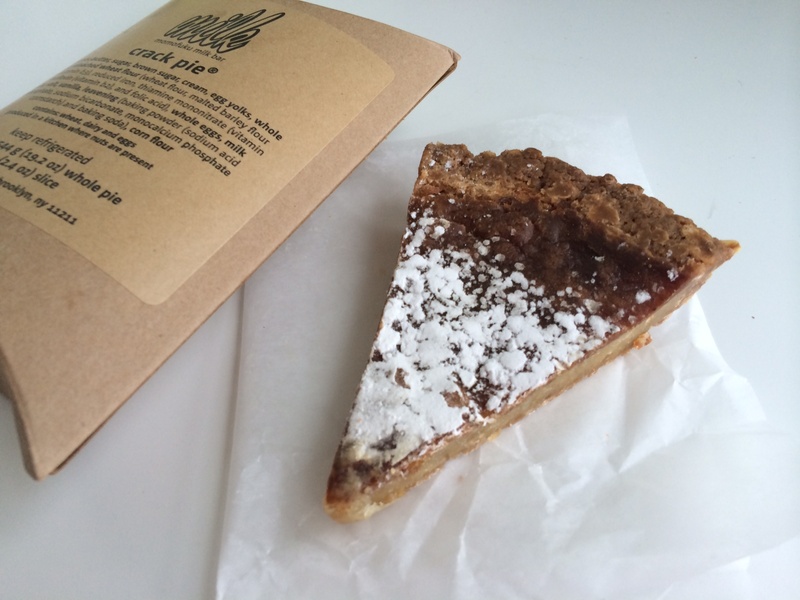 We tried the Compost Cookie, B’day Truffles and the Crack Pie. 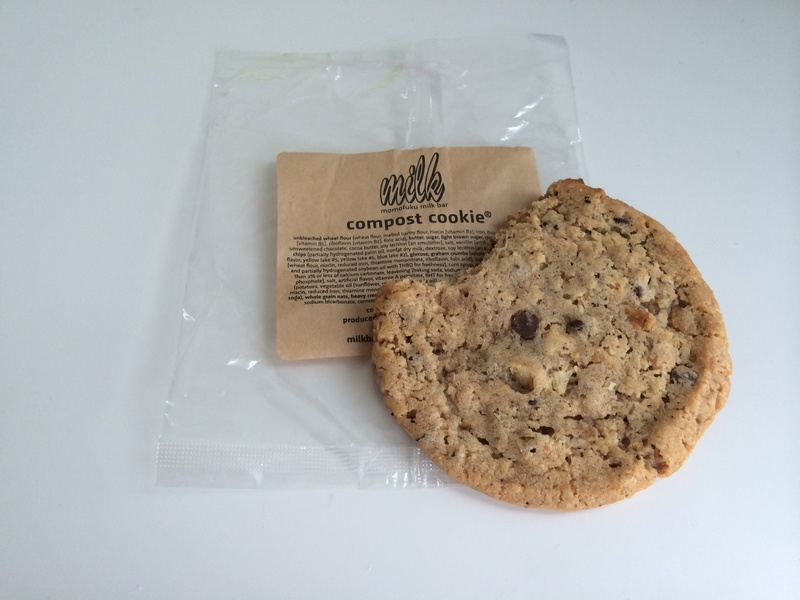 The Compost Cookie had interesting ingredients such as pretzels, potato chips and coffee beans along with the regular ingredients such as oats, butterscotch and chocolate chips. One of us liked the cookie and the other one not so much. The cookie had a strong coffee flavour, which masked everything else. The B’day Truffles had rainbow cake, white chocolate and sprinkles. They were scrumptious and melted in our mouths. They are very similar to cookie dough based desserts. The Crack Pie was the most amazing treat ever! It is a toasted oat crust with butter filling. It sounds very simple and it is indeed simple, but the taste is out of this world. It is very sweet, so it may not be liked by everyone but it is definitely worth a try. 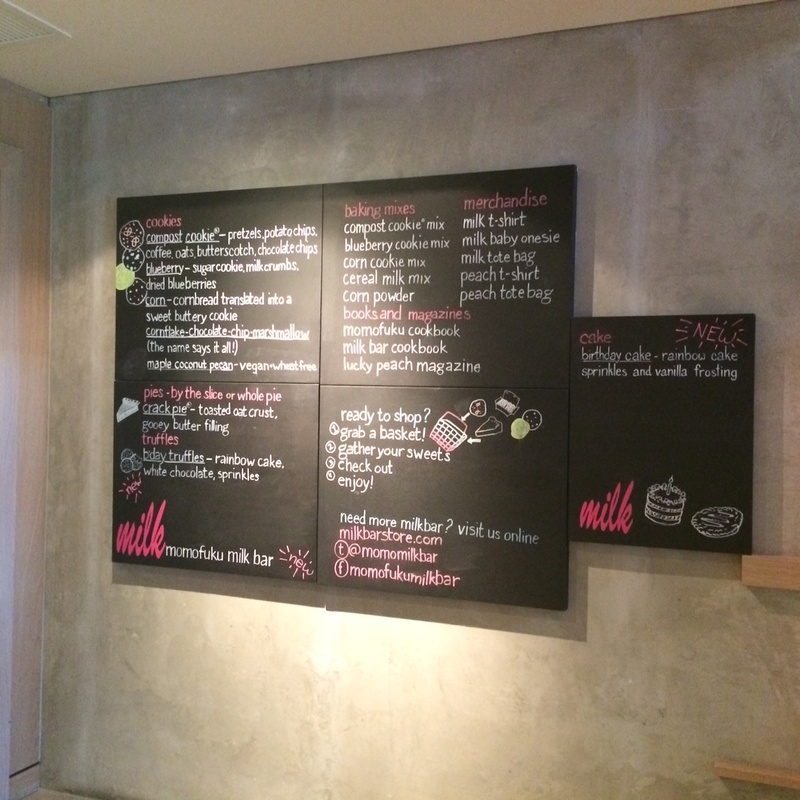 If you happen to be in the downtown Toronto area, drop by the Momofuku Milk Bar and give yourself a treat! 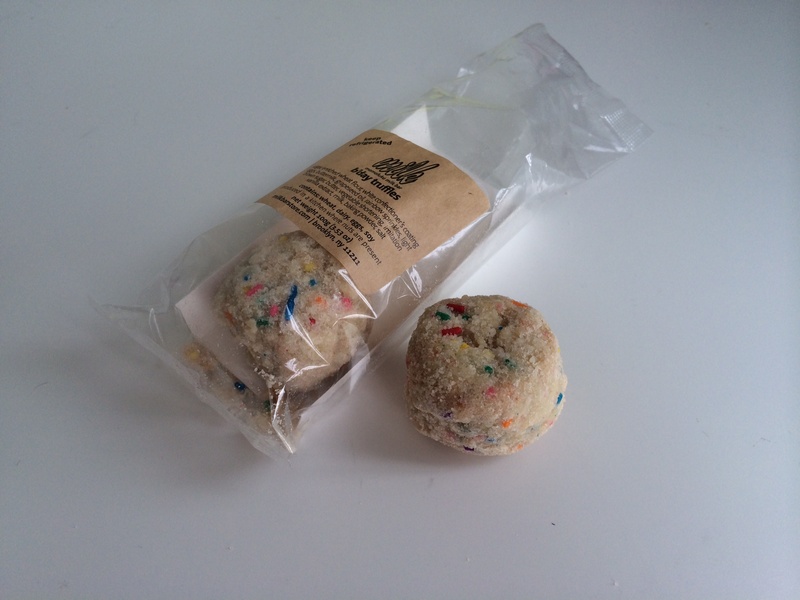 Categories: Product Reviews, Restaurant Reviews | Tags: B'day Truffles, canada, Compost Cookie, Crack Pie, dessert, Downtown Toronto, GTA, Halal Food Enthusiasts, Momofuku, Momofuku Milk Bar, Momofuku Milk Bar Toronto, Toronto | Permalink.